A mandala is a diagram of geometric patterns. 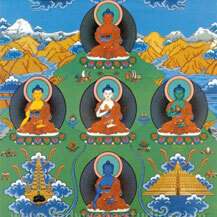 Each Buddha has his or her own particular mandala. 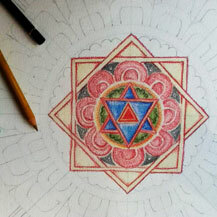 A Mandala can be seen as the ‘world of existence’ or celestial residence in which the meditational deity resides. 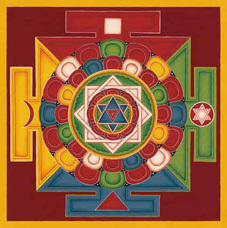 Mandala is a Sanskrit word. Dkyil-khor is the Tibetan word for it, and literally means that which encircles a centre. 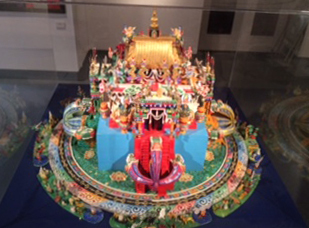 Each aspect of a constructed mandala has a deep symbolism and meaning, which you will learn when taking Tibetan Art class with Carmen Mensink, renowned painter and teacher of Tibetan Buddhist Art. The doorways on all four directions for example represent the Four Immeasurables of compassion, love, equanimity and joy. 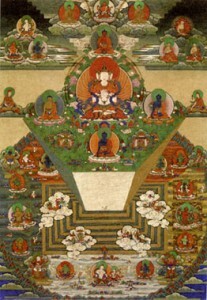 To protect the mandala from negative conditions and energies, it is surrounded different circles, such as a vajra fence and a fire wall, and sometimes a ring of eight charnel grounds (representing the Buddhist philosophy to be always mindful of death; to be aware of impermanence). 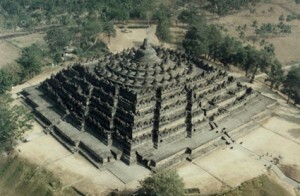 Inside these outer rings we can find the walls of the mandala palace itself. In the video below, this question is answered by Jeff Durham, Associate Curator of Himalayan Art at the Asian Art Museum in San Francisco, at the entrance to the exhibition Enter the Mandala. 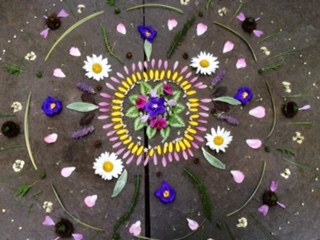 Want to create a Mandala for yourself? 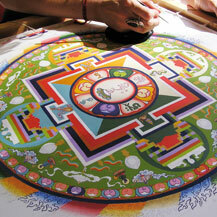 Drawing or painting a Buddhist mandala creates a lot of peace and joy. It is regarded as a meditation and can bring you in contact with your mind, your ‘inner universe’. You don’t need to have drawing or painting experience to do it. 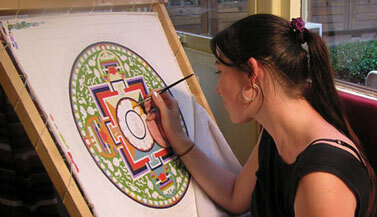 Carmen Mensink, renowned painter and teacher of Tibetan Buddhist Art, offers Mandala Drawing and Painting Classes all over the world, in groups as well as for individuals. 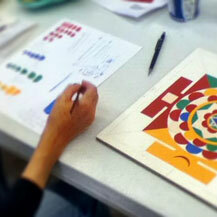 The Upcoming Thangka Courses & Workshops can also be found on that page.